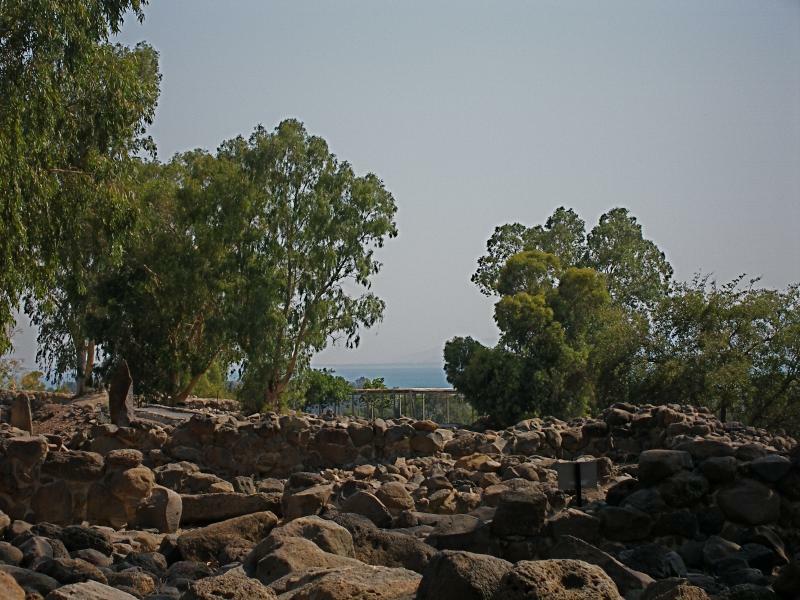 The ruins of Chorazin, one of the three Galilean cities cursed by Jesus, look down on the northern end of the Sea of Galilee. 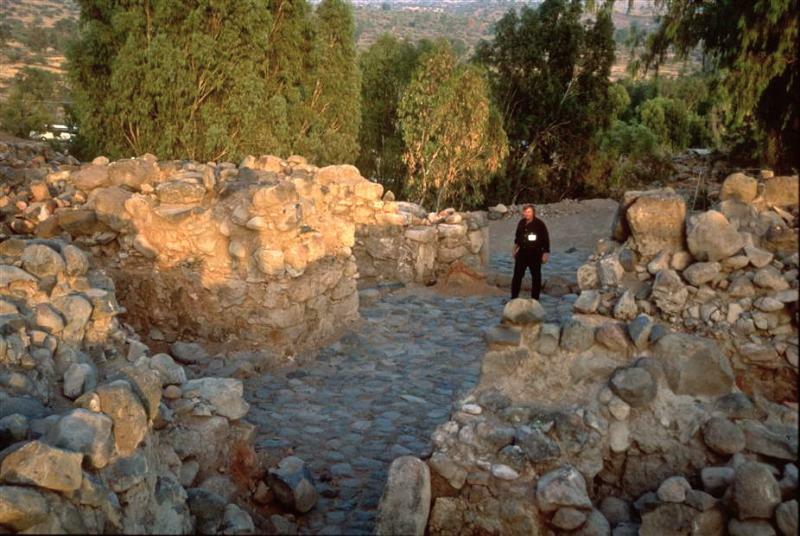 Residents of Chorazin lived within sight of Bethsaida and Capernaum, two of the other cities in what has become known as the “evangelical triangle”, because most of Jesus teachings and miracles occurred there. All three — more likely villages than cities — incurred Jesus’ condemnation (“Woe to you, Chorazin!”) because their people did not accept his teachings and repent (Matthew 11:20-24). 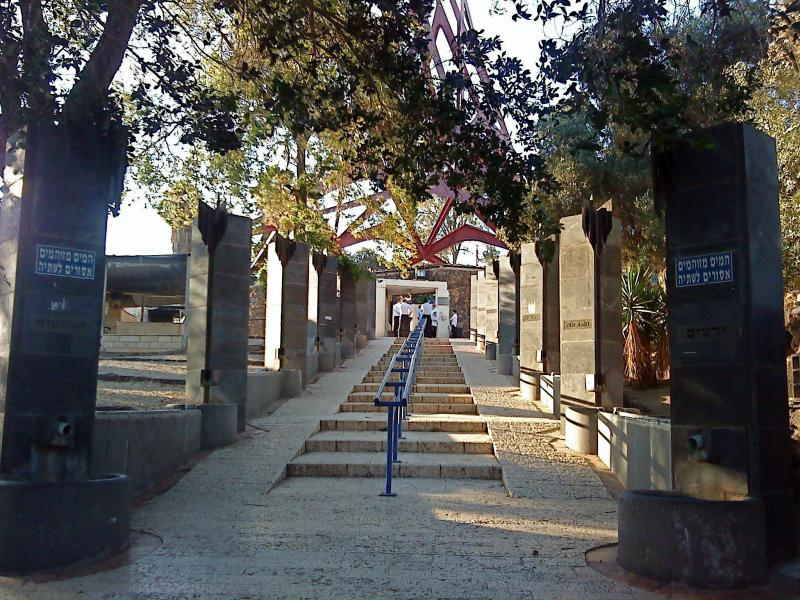 Chorazin (also spelt Korazim) is 3.5 kilometres due north of the Mount of Beatitudes. Jewish writings say its wheat was of exceptional quality. The town expanded considerably after Jews were expelled from Judea in AD 135, but Eusebius around 330 described it as being in ruins, apparently following an earthquake. 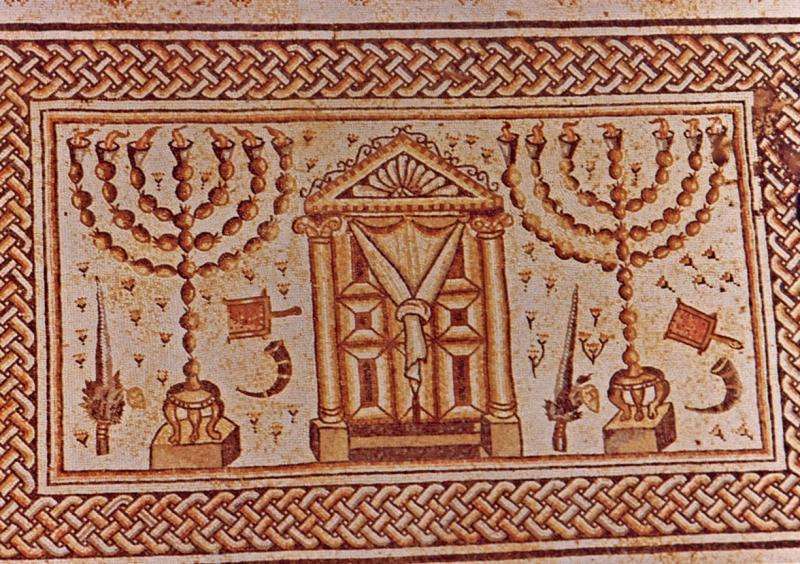 Life returned over the next 100 years, when the synagogue was rebuilt, until the 8th century. Settlement was resumed in the 13th century and a small population remained until the beginning of the 20th century, when the site was abandoned. 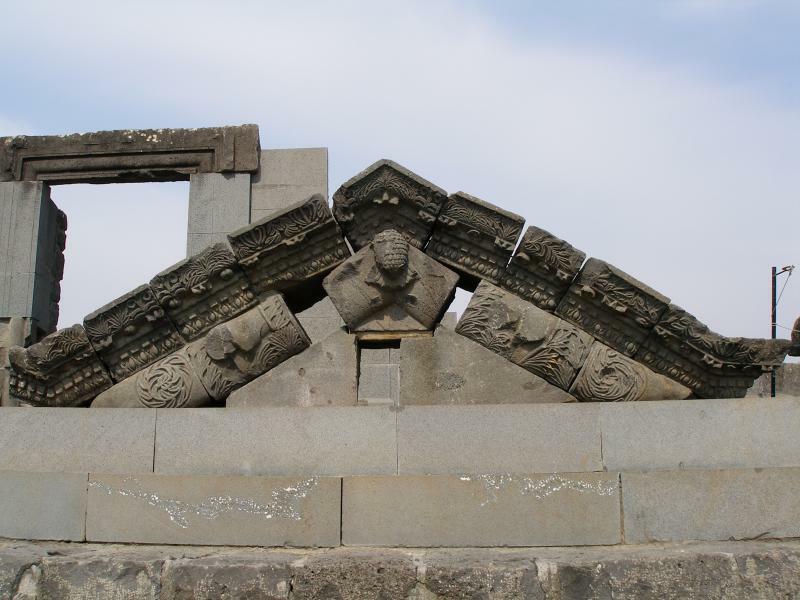 The remains of an elaborate synagogue are a striking feature of the ruins of Chorazin. It was rebuilt in the 3rd or 4th centuries, when the town was thriving. Constructed of local black basalt stone, the synagogue stood on an elevated area in the centre of the town. A broad staircase led to its façade, which faced south towards Jerusalem. It had one large hall, with stone benches around the walls for the community to sit during services. The absence of an upper gallery for women suggests the sexes were not segregated at the time it was built. An unusual find in the ruins of the synagogue was the Seat of Moses, carved out of a single basalt block, from which the Torah would have been read. On its back was an inscription in Aramaic. The original seat is in the Israel Museum in Jerusalem but a copy remains in the ruins at Chorazim. Decorations carved in the stone include Jewish motifs, geometric designs and patterns incorporating local flowers and animals. The construction methods showed that the builders were skilled in using the basalt stone, which was brittle and easily broken. Near the synagogue is a ritual bath (mikveh). To the east of the synagogue are two large buildings, dating from the 4th century, which each probably housed an extended family. The rooms were entered from a large cobblestone courtyard. Open: Apr-Sept 8am-5pm; Oct-Mar 8am-4pm; Fridays and eves of holidays, 8am-3pm. Last entry to site one hour before closing time. Jesus criticised the Galilean fishing village of Bethsaida for its inhabitants’ lack of faith. In contrast, at least three of its native sons — Peter, Andrew and Philip — responded to his call and gave up everything to follow him. He gave sight to a blind man and, not far away, he taught and fed a crowd of 5000. And from the Bethsaida shore he was seen walking on the Sea of Galilee. 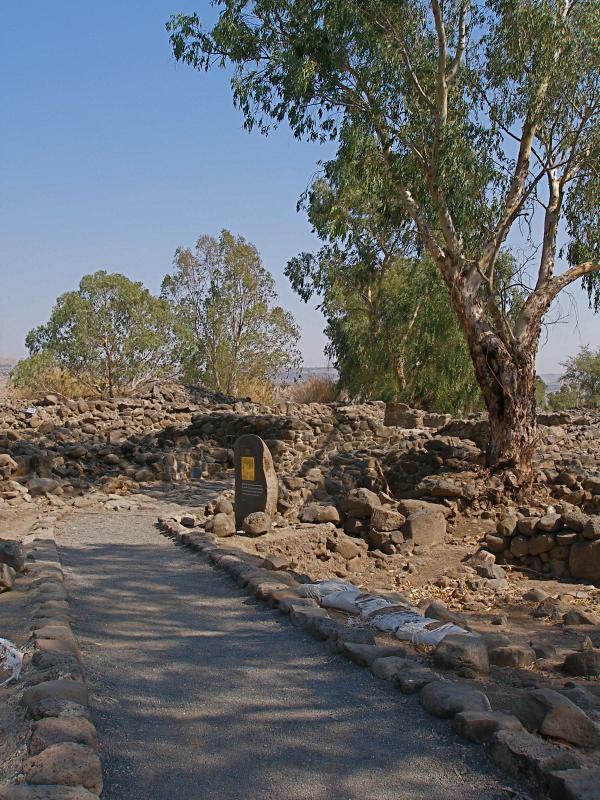 Despite the locals’ spiritual blindness, Bethsaida is one of the most frequently mentioned towns in the New Testament. “Indeed Bethsaida, Chorazin and Tabgha — with Capernaum as the base’s midpoint — constituted the ‘evangelical triangle’, on the northwestern end of the Sea of Galilee, within which approximately 80% of Jesus’ public ministry was exercised, according to the synoptic Gospels of Matthew, Mark and Luke!” writes biblical scholar Daniel W. Casey. A fishing village far from the water? 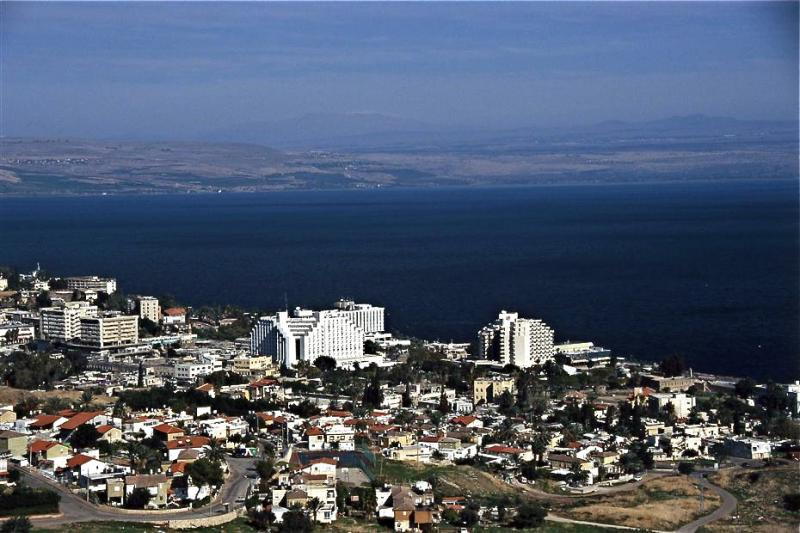 The first-century Roman writer Pliny the Elder called Bethsaida “one of four lovely cities on the Sea of Galilee”. Yet, like Capernaum and Chorazim, Bethsaida was abandoned and forgotten for many centuries. In fact scholars are uncertain over whether there might have been two towns called Bethsaida, one on the west of where the River Jordan enters the Sea of Galilee, and the other on the east. One site claimed by archaeologists to be Bethsaida is at et-Tell on the east of the Jordan, 2 kilometres north of the Sea of Galilee. Others favour the site of el-Araj, near the north-eastern shore of the lake. The location of et-Tell — first suggested by the American scholar Edward Robinson in 1839 — presents a further puzzle: How could a fishing village be so far from the water? The reason offered is that the landscape has changed since the time of Jesus. The suggestion is that an earthquake has lifted et-Tell and the Sea of Galilee has shrunk in size. 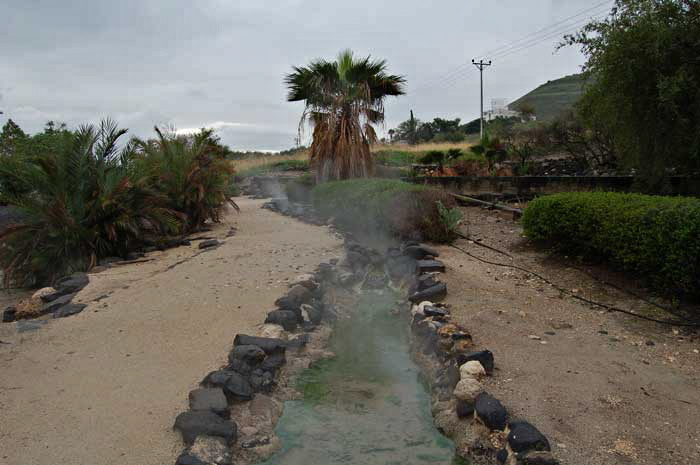 In Christ’s day, according to biblical archaeologist Bargil Pixner, the Jordan River did not sweep in a large loop as it does today, but flowed straight into a shallow lagoon before reaching the lake, so a small part of Bethsaida lay on the west bank of the river. At el-Araj, archaeologists in 2017 discovered a Roman-era (first- to third-century AD) bathhouse, which they suggest is evidence for a significant urban settlement at the site. They also found gilded-glass tesserae for a mosaic, perhaps indicating the presence of an important church. Such a church, built over the house of Peter and Andrew, was described by a visitor to Bethsaida in 725. 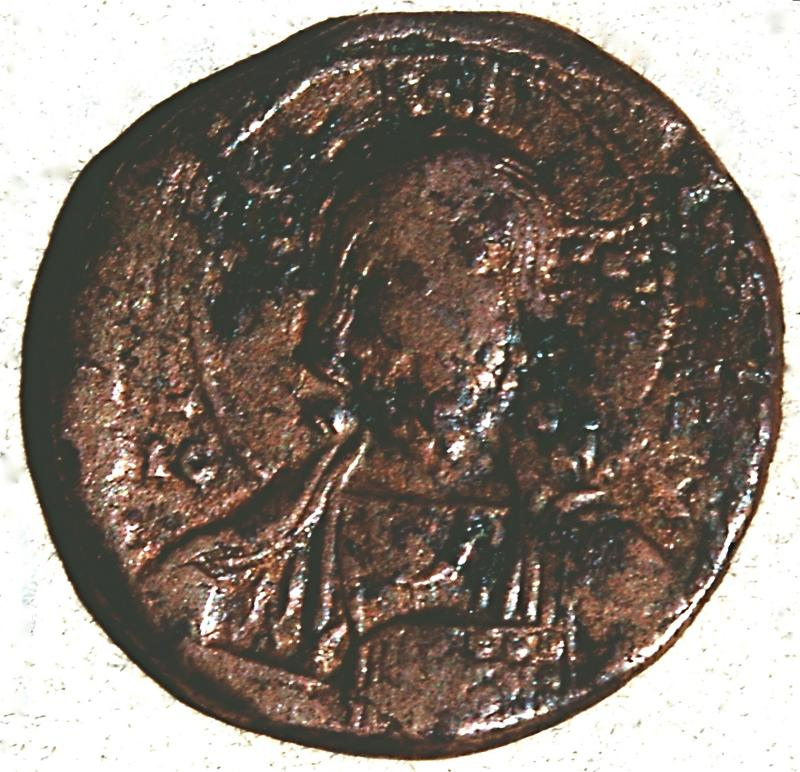 In AD 30 — about the time Jesus was crucified — the local ruler, Herod the Great’s son Philip, raised the fishing village of Bethsaida to the status of a city and named it Bethsaida Julias (in honour of the wife of the Emperor Augustus). 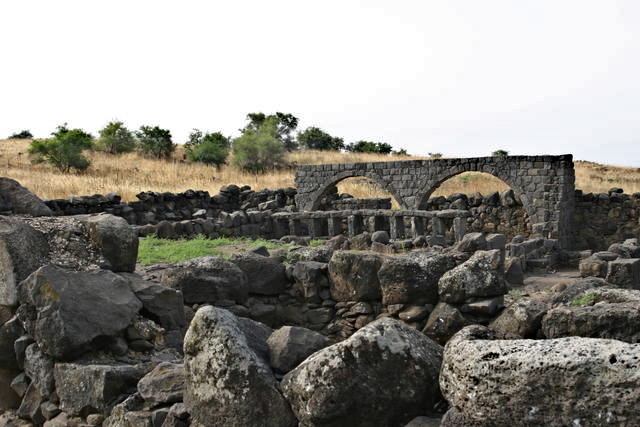 Bethsaida Julias contained both Gentile (Syrian) and Jewish populations, and it apparently continued to exist after the Jewish Revolt in AD 66-74, but declined in the 3rd century and was probably destroyed by the Assyrian invasion in the 8th century. The excavation site of et-Tell is located in a public recreation area known as Jordan Park, close to the Yahudia Junction at the intersection of Routes 87 and 92. Excavators say they have found a much older Iron Age site beneath a Hellenistic-Roman village. They believe this city was the ancient capital of the kingdom of Geshur, fortified with a massive city wall and a monumental gateway. Their identifications include a house belonging to a fisherman and an apparent wine cellar. They also found a gold Roman coin from the 2nd century AD. The excavators believe that the fishing village on the site was also an important centre of fish processing — drying and salting — in the time of Jesus and his disciples.